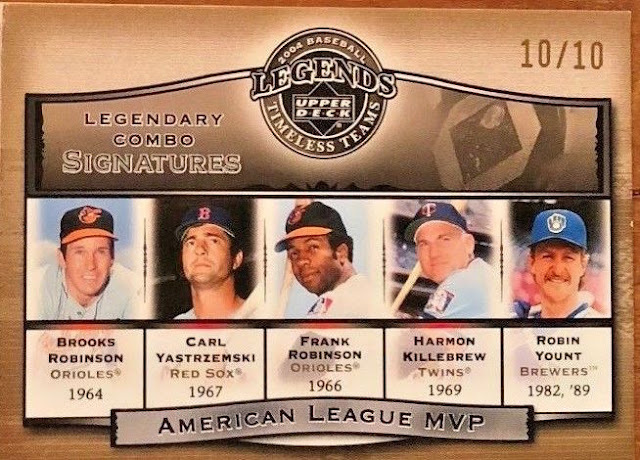 this post covers the legendary combo signatures cards in the set. there are five of these, all numbered to 10. i've only ever seen two come up in auction, but i haven't really been keeping a close eye out. still, they are pretty rare, especially these days fourteen years after the cards were released. 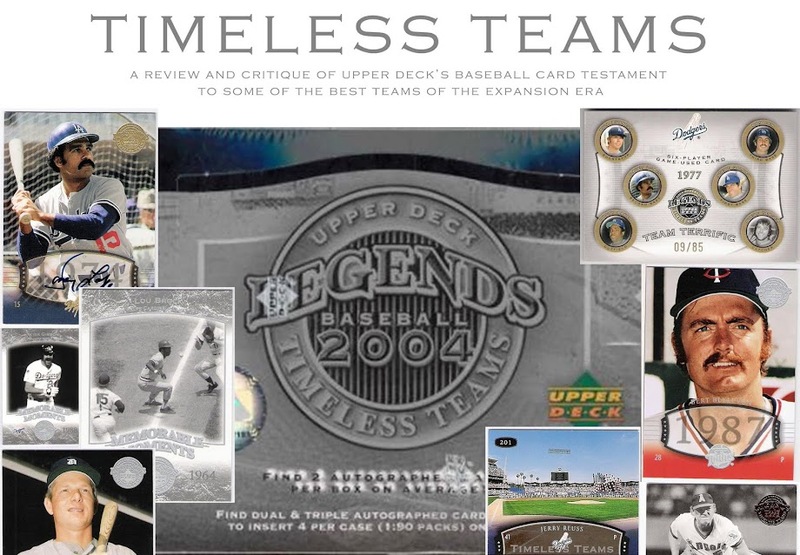 each card features a photo and autograph of five different players with a common theme - mvp awards, cy young awards, 3000 hits, or notable world series appearances. 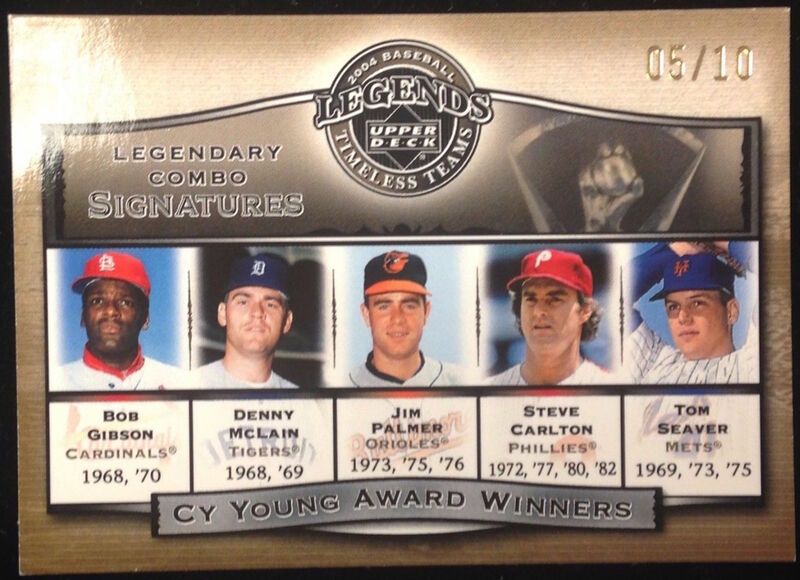 below is the list of the cards on the checklist, along with images of the only two cards i've come across. that's a pretty impressive way to wrap up this set. i know it took a long time to get through all of the teams and other cards, but i've enjoyed going through this set. thanks for following along. Wow. 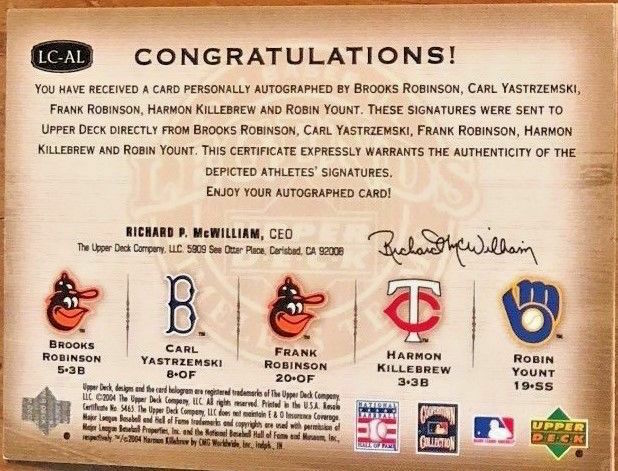 Can't imagine any of these pop up on eBay very often. Quite the checklist.